Home > Band Parts > Polespear Rubber > 3/8in(10mm) O.D. Our 3/8 inch polespear rubber is made in the U.S.A. by Kent Elastomer. The title of each listing contains the manufacturer and color of the rubber. 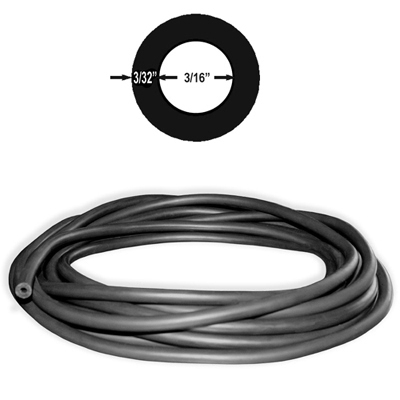 ¹¹Discounted factory Spool packs are rarely continuous and may consist of up to 3 segments. For international orders (outside the USA) of this item, the tubing will be shipped coiled to avoid higher shipping cost. General Compatibility - This item can be used with some products of IST®, Riffe®, JBL®, Sea Stinger®, Henley®, Cressi®, Biller®, Omer®, Head Hunter®, Gat-Ku®, Mako®, Bandito®, Trident®, and more. Spearit Group LLC unaffiliated with these manufacturers.